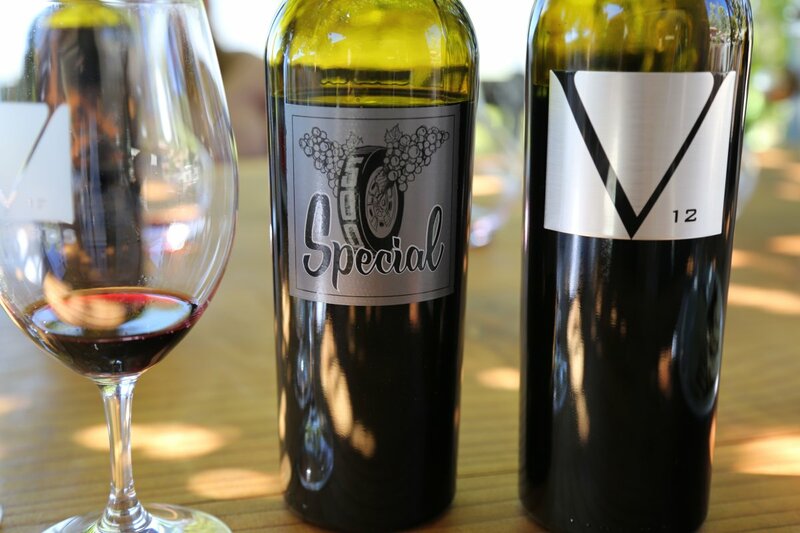 V12 Vineyards was founded by race car driver and auto enthusiast, Jimmy Vasser; their first vintage is from 2008. Jimmy was introduced to the Napa Valley and its wines through an auto dealership he purchased in the city of Napa. The dealership is still there, on Soscol Ave and sells Toyota and Chevrolet vehicles. 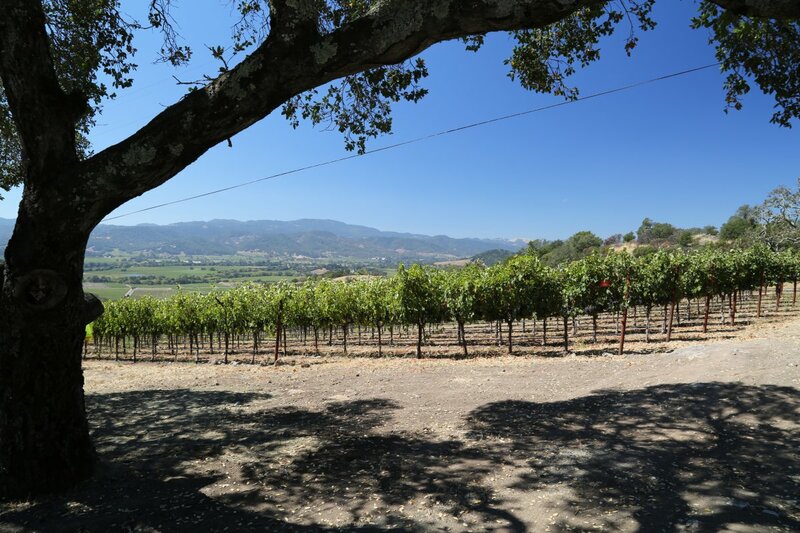 Jimmy wanted hillside property in Napa and spent some time looking before he located a 45 acre property in the Vaca Mountains just above the Stag’s Leap AVA and below the Atlas Peak AVA. He purchased this property from Rob Mondavi in 2001 – at the time it was not planted to vines; the average soil depth was something like only four inches. 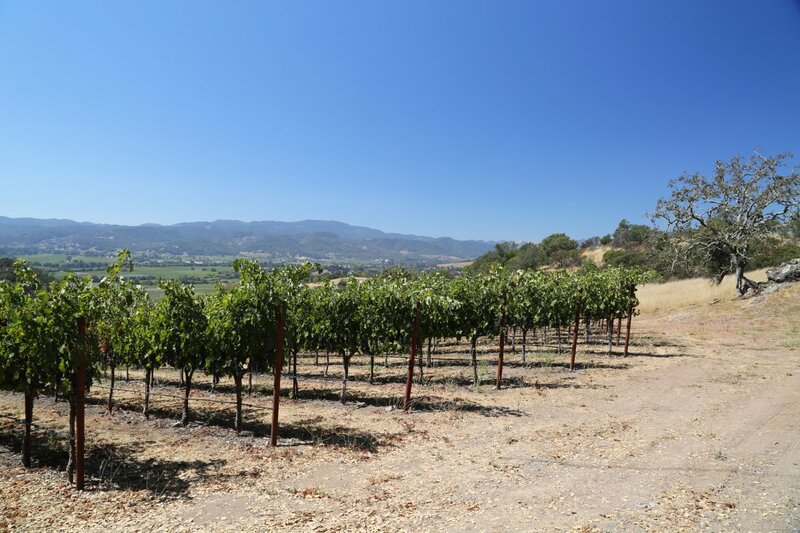 The “soils” that form the hillsides along and near Soda Canyon Road are extremely rocky and it takes much work to prepare these hillsides for growing grapes. Jimmy hired Davie Piňa of Pina Vineyard Management (a 6th generation farmer) and he helped identify the potential for growing high quality grapes on this particular site. While there were other grapes growing in the vicinity one never knows for sure the quality of a site until it has produced a few vintages. Soil pits were dug, a good source of water was identified and then the decision was made to plant vines. Preparing the site was no easy task; they had to blast and “rip” parts of the hillside to break up the rock to make it more suitable for grapes to grow here. A fair amount of rock was also moved further down on the property which helps with drainage. 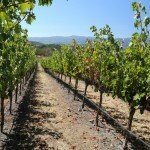 Ultimately eight acres were planted entirely to Cabernet Sauvignon – of which there are four clones. 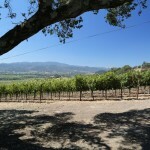 There are several distinctive micro climates on the property as it relates to their vines. The “front block” faces West and has good sunshine exposure even in the late afternoon. 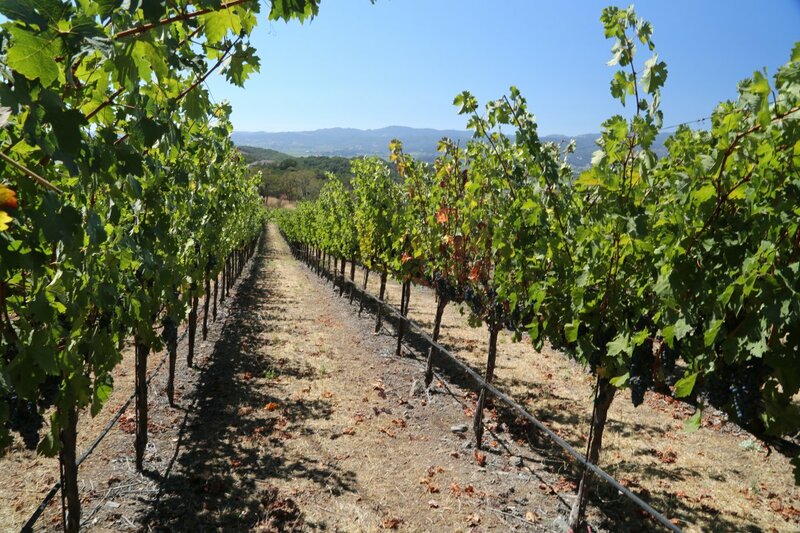 The “back block” faces East and receives less sunshine – the grapes typically hang longer and are picked later then the front block. Two distinct wines are made from each of these blocks. The name V12 has meaning both as it relates to the auto industry and their specific vineyard. Twelve is Jimmy’s championship number, V12 is a high end racing engine and if you break this number up regarding their vineyard, it is 4 vineyard blocks containing 4 clones planted on 4 different rootstock. Annual production is small – each wine is usually only several hundred cases or less with a total production of around 800 cases each year. 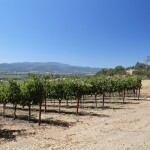 The only non estate wine is their Chardonnay that is sourced from a vineyard on the Napa side of the Carneros AVA. The 2012 vintage saw no malolactic fermentation. It shows golden straw color in the glass with various tropical fruit aromas including yellow pineapple, hints of banana and some spice. On the palate it is smooth, crisp with notes of citrus and drinks very easily. The 2010 444 Cabernet Sauvignon has an inviting bouquet with baking spices, mocha and a sweet core of fruit that remains as the wine continues to breathe. It is refined and smooth on the palate with a slight mid palate jammy quality – it is a wine the begs to be consumed and drinks well by itself. Delicate tannins linger softly on the finish. 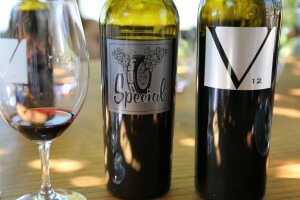 The 2010 500 Special Cabernet Sauvignon was entirely sourced from their “front” or western facing blocks. 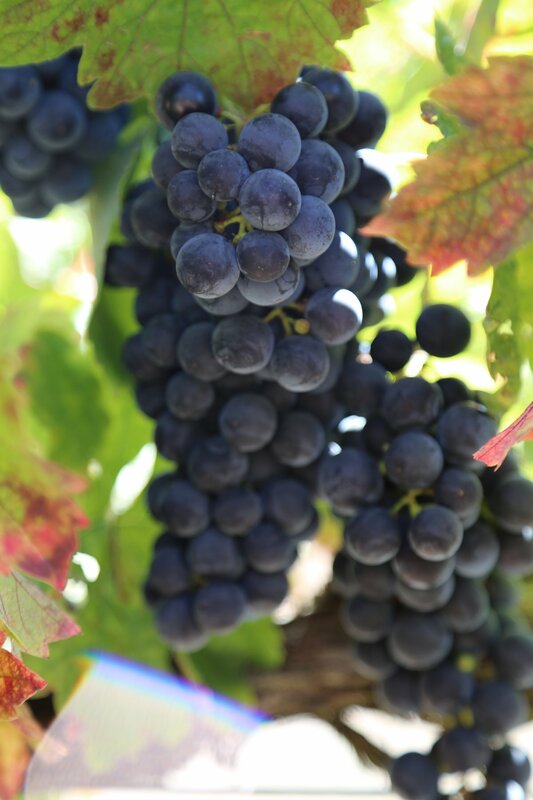 The grapes were hand picked from the “sweet” spots in the vineyard – only 3-4 barrels of this was made. And it is not made every year – it is made only in the “best” vintages. If a vintage is especially challenging, such as the 2011 – they may decide not to make this wine (which was their decision for this particular year). The wine is in barrel for two years and then it is given a full year of bottle age before it is released. The grapes are fermented using indigenous yeasts rather than commercial yeast. The wine is bottled unfiltered. The 2010 vintage shows a richness of fruit in the glass – it is a bigger wine than the 444 yet still retains a pleasing balance. Lively aromas (black cherry, a liqueur like quality), good color in the glass and decent acidity. The tannins are there but do not over power the palate. This is a wine you can drink now or certainly cellar a number of years. The 2012 Reserve Cabernet Sauvignon is hand selected from the most premium parts of the East facing vineyard on the back of the property. The grapes are fermented whole in barrel and aged for 36 months. The wine is dark in the glass – the aromas show various black fruits leading to a palate that is more red fruit driven – raspberries, red cherry and various baking spices. The tannins are broad based, bigger than the other two wines but still well integrated into the overall structure.